Regular tooth brushing is one of the most important steps in maintaining good dental health. Brushing your teeth on a regular basis removes any food pieces that may have been left inside your mouth, which may attract bacteria that can cause dental problems. Aside from ensuring that your teeth and mouth are clean, tooth brushing also helps prevent bad breath problems. However, there are times when tooth brushing can be an uncomfortable activity. 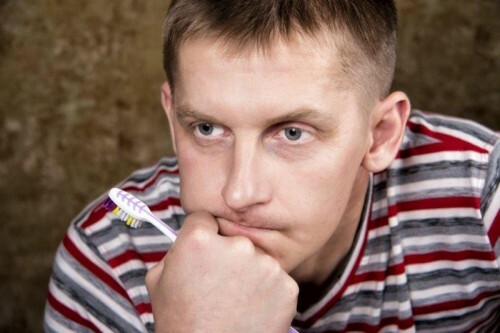 What Causes Tooth Brushing to Hurt? tooth brushing motion can also be the source of the pain. Gum problems can also make tooth brushing uncomfortable. If you have gum disease, your gums are extra sensitive – the slightest stroke from the toothbrush bristles may trigger pain, especially if the gum problem has already progressed. Painful tooth brushing may also be due to the use of the wrong kind of toothbrush. If your toothbrush is too big for your mouth, you may end up bruising the sensitive parts of your inner mouth every time you do a stroke to clean your mouth. You may also want to choose a toothbrush with soft bristles if you feel that the stiff bristles are too much for your teeth or gums to deal with.